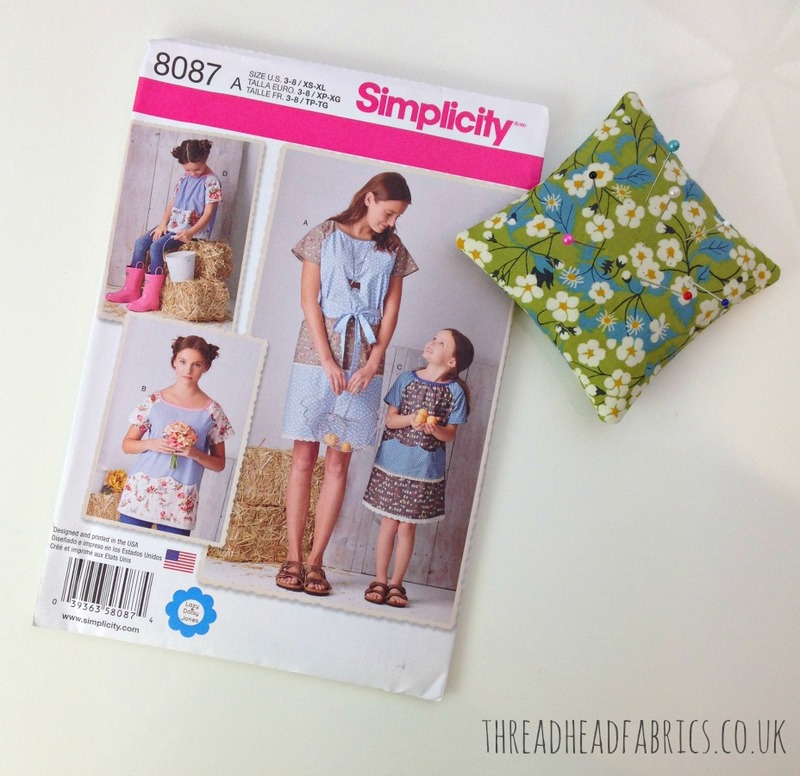 Create your own Lazy Daisy Jones dress or tunic with this fab dressmaking pattern! Perfect for mother and daughter outfits, we love the pockets across the front of the garment. Imagine this dress as your gardening go-to dress! 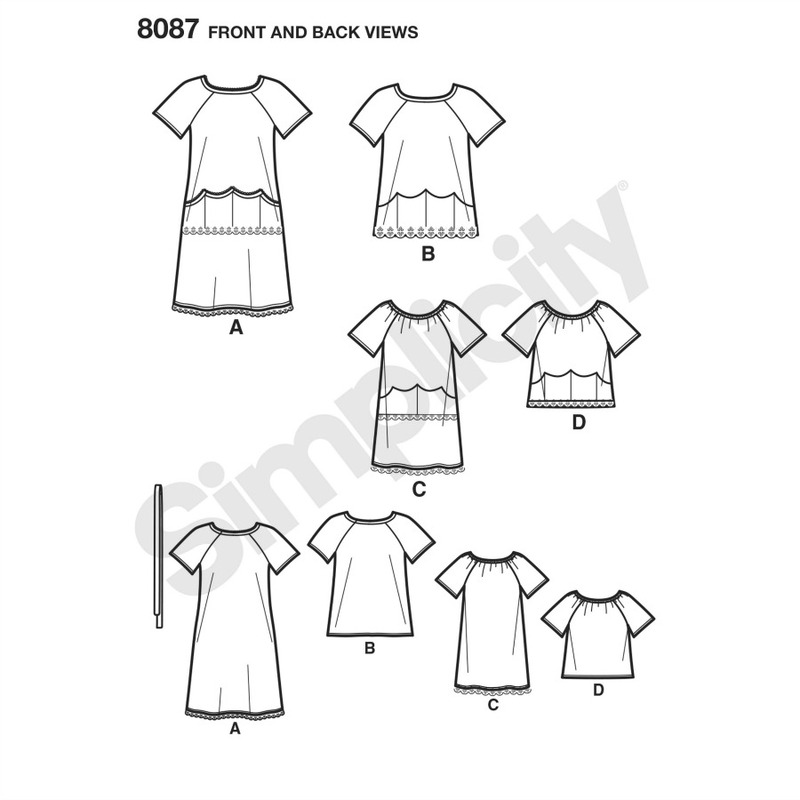 This 10 piece pattern will offer you several options for a wardrobe filling, season spanning dress for you and your little one! Add a long-sleeved t-shirt for a cool, layered look. 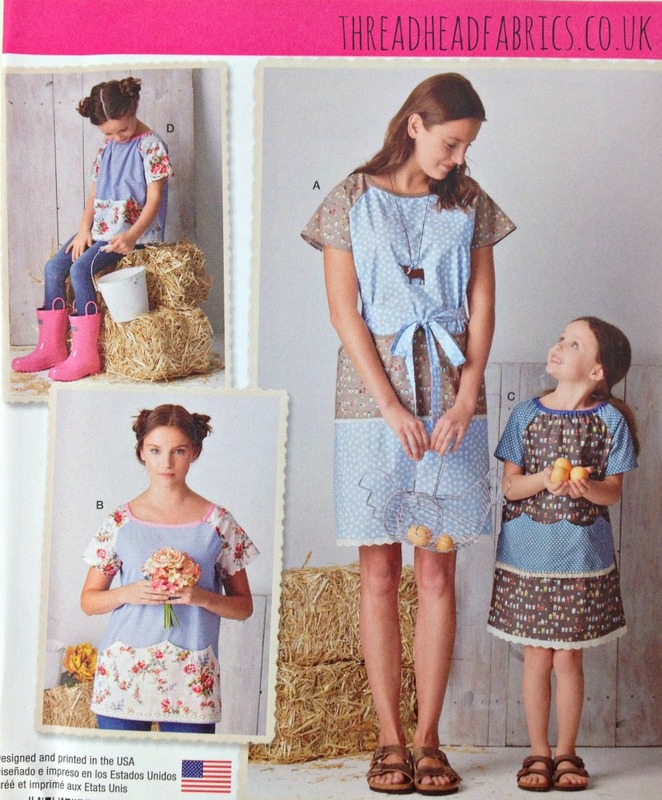 Could be the perfect project to get your child sewing with you! This sweet, versatile Simplicity pattern is the creation of Ashley, aka Lazy Daisy Jones, a Dorset-based lifestyle blogger, crafter, designer and crochet addict If you’re not following her on Instagram, have a nose! Her pics are gorgeous and she celebrates style as a proud 50-something. She has some awesome Pinterest boards, too, for all you Pinterest peeps! We love Ashley’s outlook on life so she is well-worth getting to know. 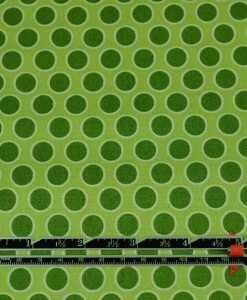 Ok, so what’s not to *love* about this pattern?! Nothing! It’s such a great value to get both adult and children’s sizes in the one pattern package. 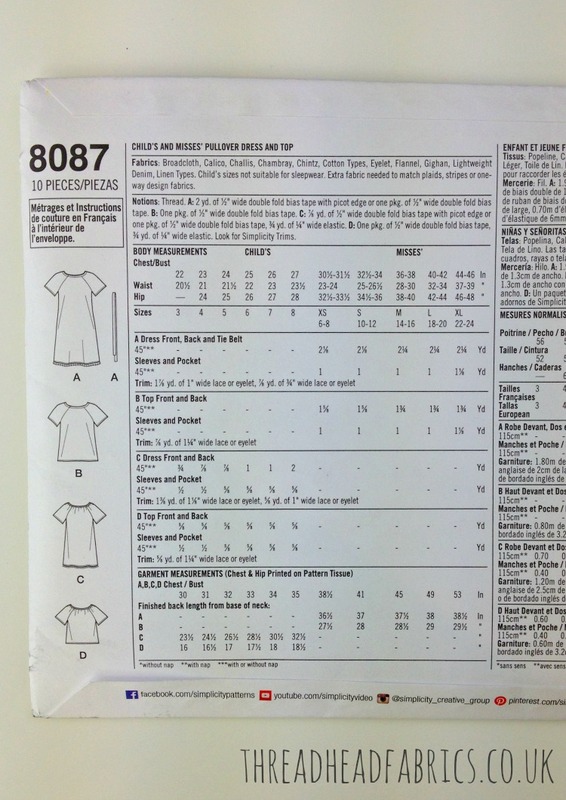 How will you put your style stamp on your own Lazy Daisy Jones dress? Depending on the prints you choose to make the garment, add tights and a smart cardigan and the adult dress will be your fave Friday work frock. Keep the prints light and bright and this will be your pottering about in the garden or heading out to the shops choice garment. Feeling like a cosy day off snuggled up with a good book and faithful four-legged friend at your hip? Create one in flannel and team it with leggings, and of course, fuzzy slippers! 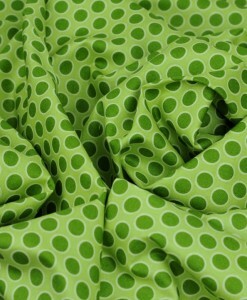 Pretty much all of our cotton fabrics would work really well to create one or two of these awesome dresses or tops! We particularly like the idea of mixing it up a bit and trying something that might normally be out of your comfort zone print-wise. How about some of our bold Anna Maria Horner prints for you fierce earth mothers? Or get a modern, more subtle look with our Saffron Craig organic cottons. Or keep it simply countryside chic with some Andover Fabrics’ Itsy Bits prints for mum and adorable Michael Miller prints for your child. Two to three metres is all you need along with some bias binding, your thread and sewing machine and you can whip one of these up in no time! Check out the back of package pic above for all the supply scoop! 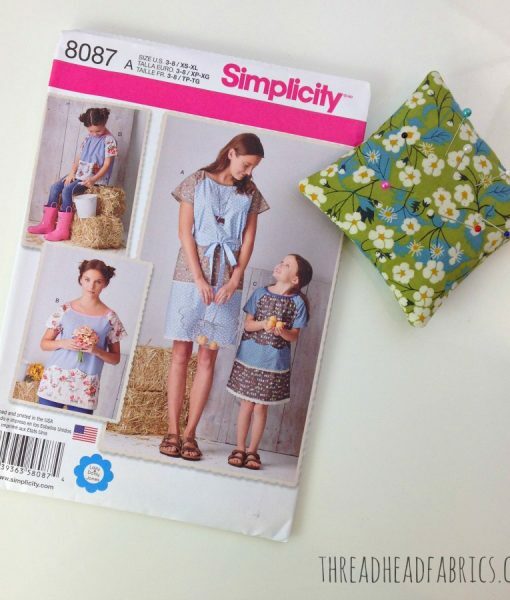 Make sure to share your pics of your own Lazy Daisy Jones Dress or Top with us. We adore seeing what you create fellow Thread Heads!